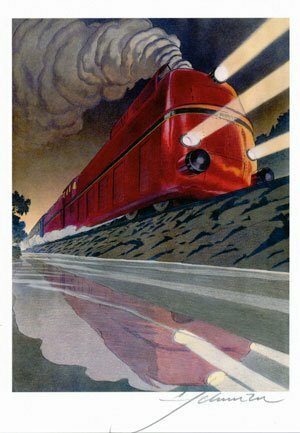 Baureihe 05 or the Deutsche Reichsbahn's Class 05 was a German class of three express passenger steam locomotives of 4-6-4 wheel arrangement in the Whyte notation, or 2'C2' in the UIC notation used in continental Europe. 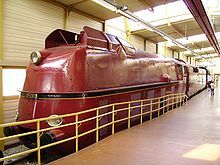 They were part of the DRG's standard locomotive (Einheitslokomotive) series 1). With the release of the German edition of La Douce by Schreiber & Leser a serigraphy of 99 ex. was added to the deluxe version of the album.